Brecht talks to Justin Gilchrist about how he took a 10k/month online business to 30k after purchase. 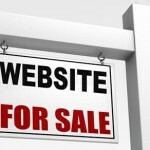 We also dive into the do’s and don’ts on acquiring and selling websites; how to qualify them, knowing when to pull the trigger, how to use leverage, and how to buy. Earn Out? Hold Back? Equity Retention? You’ll learn it all in this soup-to-nuts interview that explores the buying and selling of online businesses. Check out Digitally Wed from Justin and Centurica for evaluating any online business.